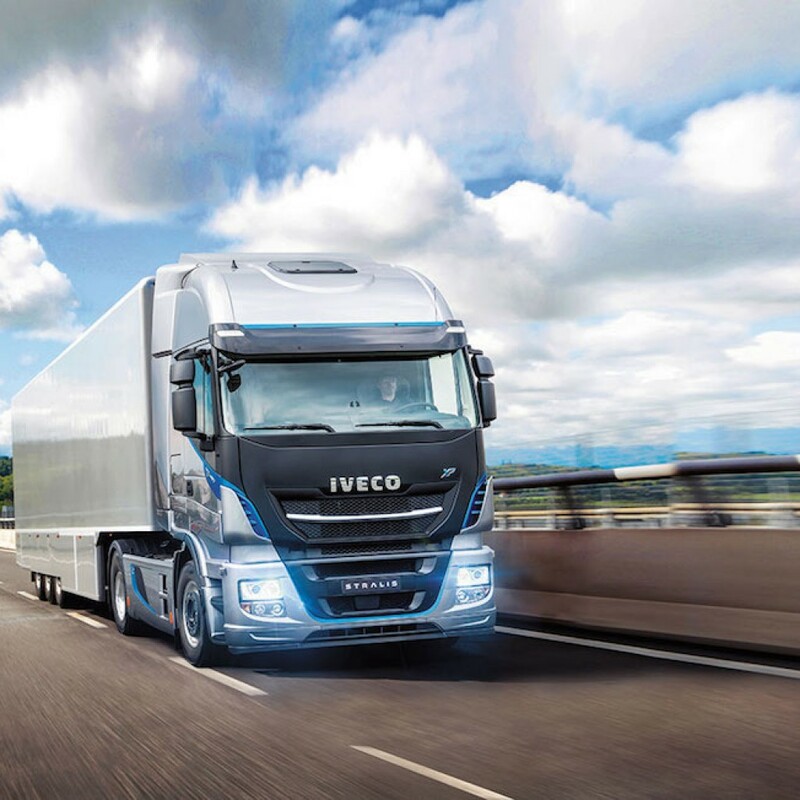 IVECO presented a new generation of Stralis with a highway version Stralis XP. 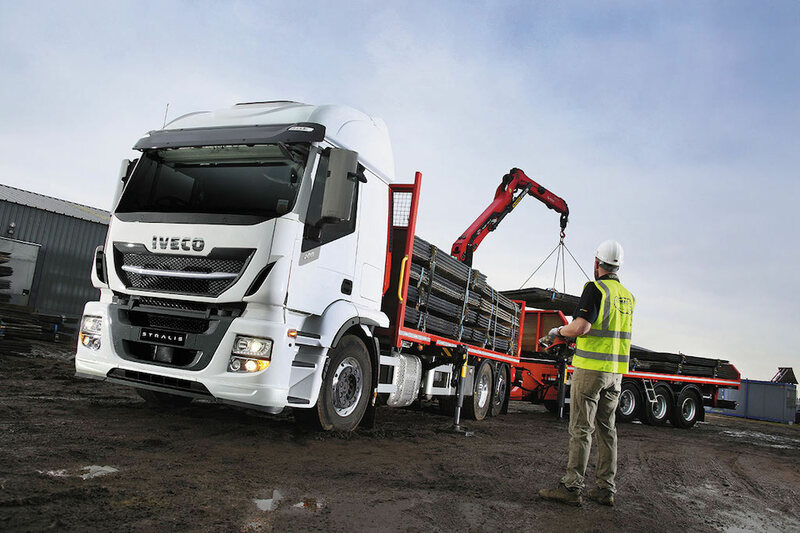 The New Stralis XP builds on the solid foundation of the Stralis Hi-Way, launched in 2012 and crowned “International Truck of the Year 2013”. 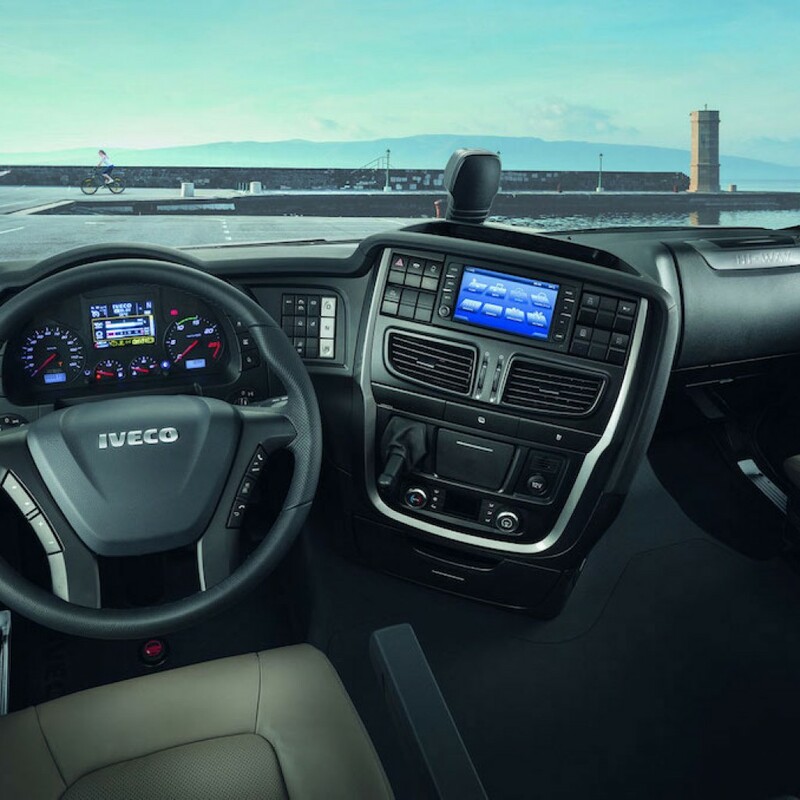 It carries over the best of its predecessor, and in particular the Hi-Way cab, which is very well appreciated by customers, Iveco’s unique HI-SCR Euro VI solution that requires no regeneration and preserves the long-term value of engine and vehicle, and the excellent quality and reliability of the previous range. 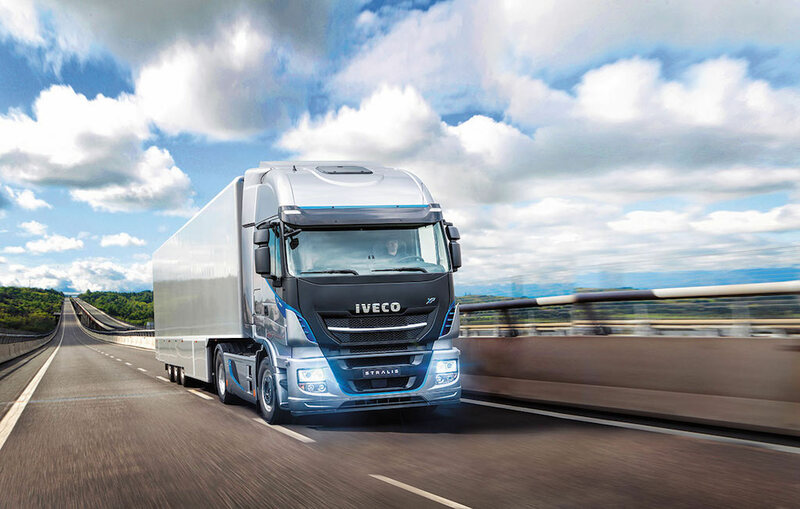 IVECO also introduced a Stralis NP: a revolutionary gas truck for sustainable long-haul transport. The New Stralis NP is the first natural gas truck specifically designed for long-haul operations. 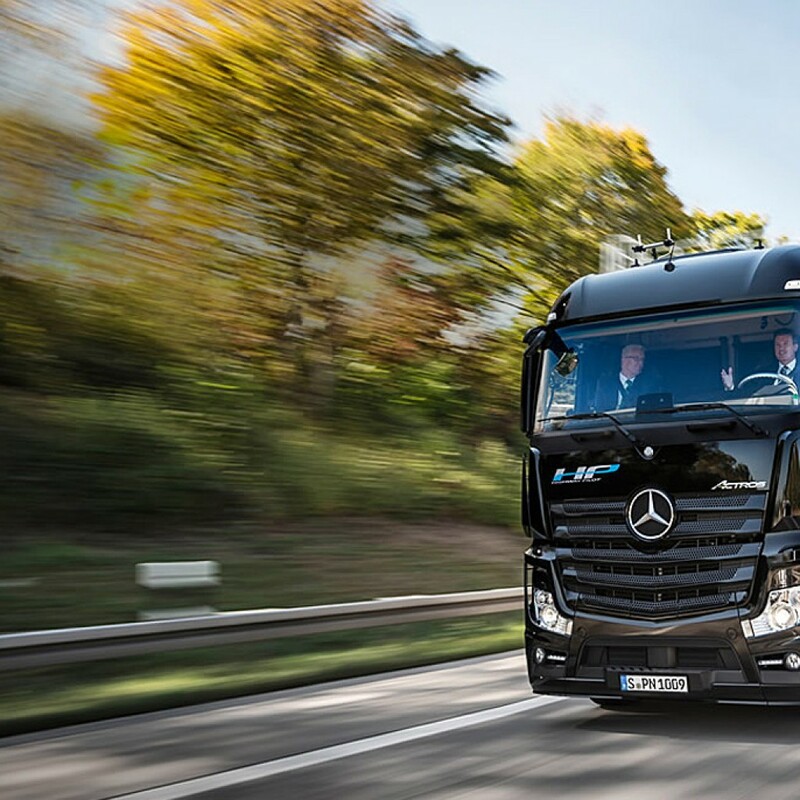 It is the only truck that can run on Compressed or Liquid Natural Gas, or a blend of the two, to deliver the power rating, comfort, transmission technology and fuel autonomy to suit long-distance haulage missions. 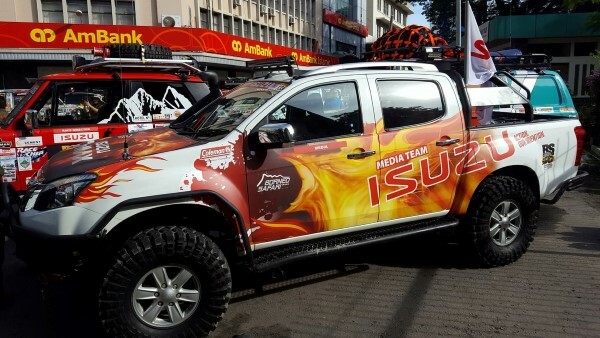 Isuzu Malaysia Sdn Bhd marked the 10th consecutive year of its sponsorship of and participation in Borneo Safari with a four vehicle media team. 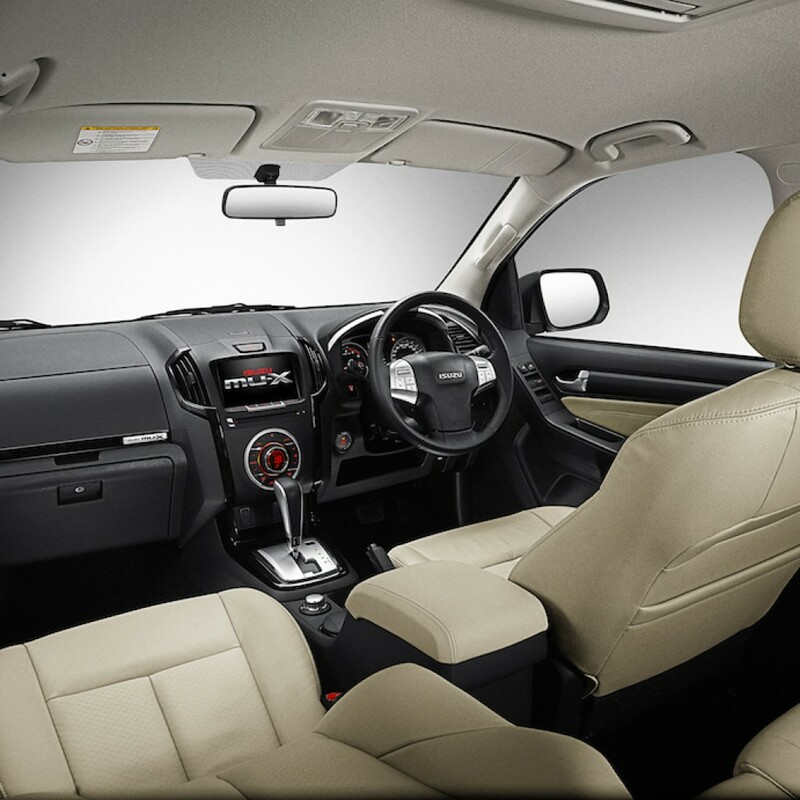 The seven-seater Isuzu mu-X Monster is making its debut accompanied by three ‘Borneo Safari-proven’ Isuzu D-Max Monsters. The vehicles, carrying 12 invited members of the media from Peninsular Malaysia, Sabah and Sarawak, were flagged-off in Kota Kinabalu this morning. 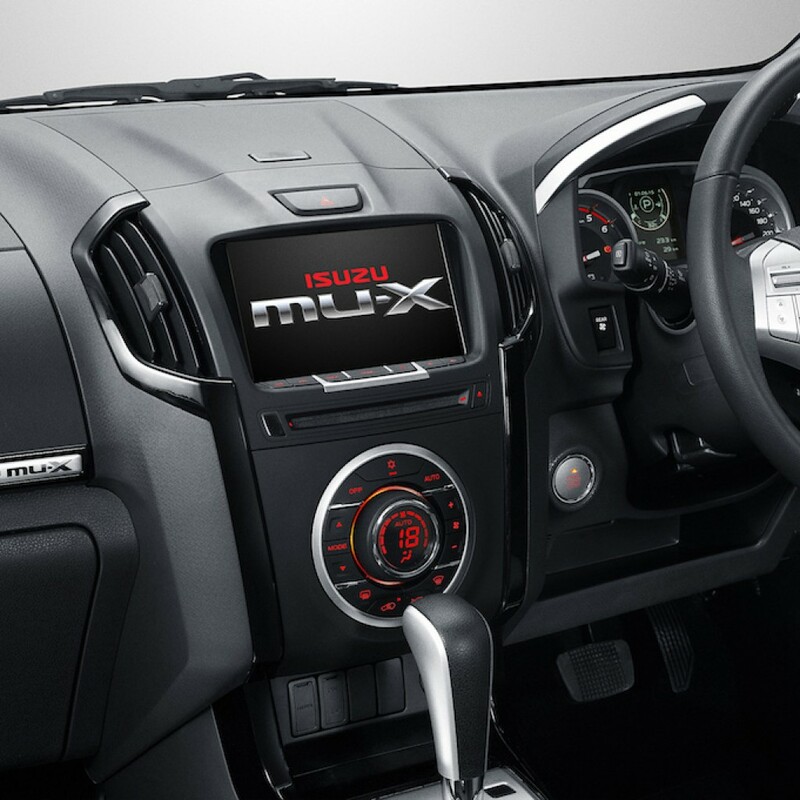 Modifications to the Isuzu mu-X were limited to the exterior as the 2.5-litre VGS turbo Intercooler diesel engine matched to a 5-speed automatic transmission with sequential shift remained stock standard. 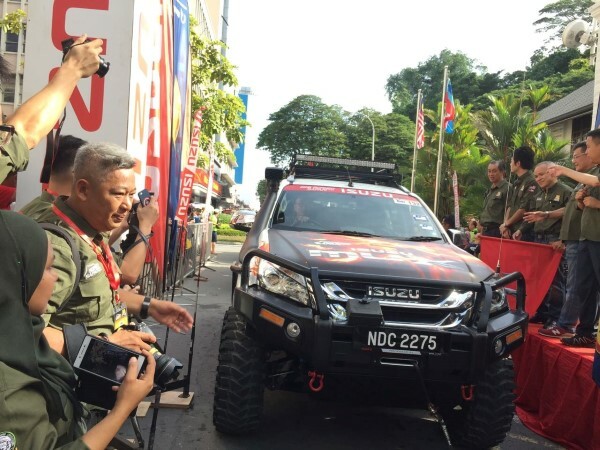 Isuzu Malaysia Sdn Bhd Executive Director Hajime Machimura expressed confidence in the ability of the Isuzu mu-X to excel despite the rough terrains and treacherous weather expected in the 2016 Borneo Safari. 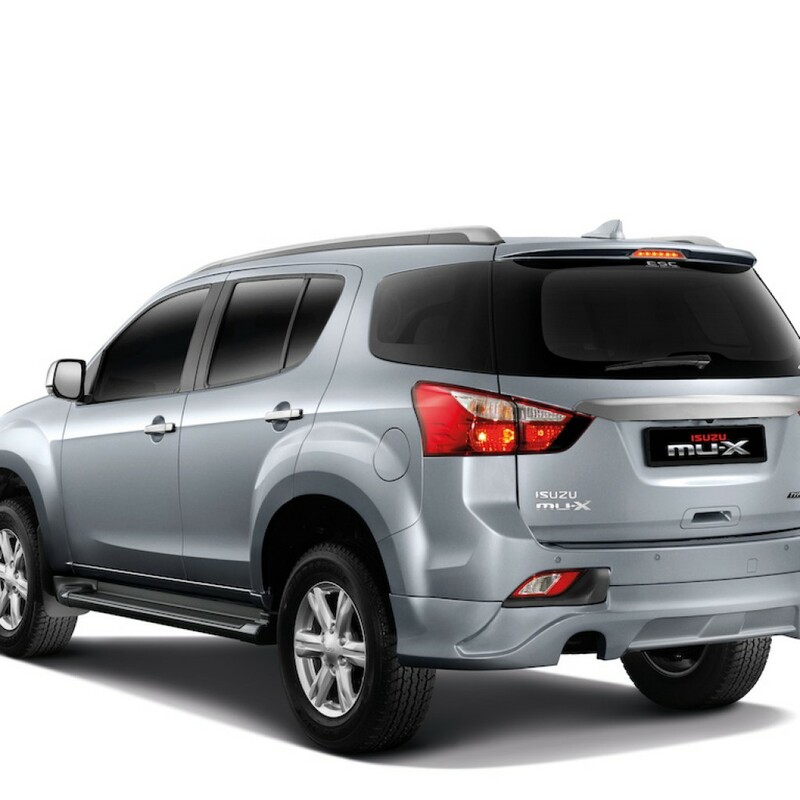 “Although it is a lifestyle SUV, the Isuzu mu-X shares the same tough DNA as our Isuzu D-Max pick-up, which has repeatedly proven itself in every edition of Borneo Safari since its debut in 2005. It is definitely all set for more,” he said. Mercedes G 500 4×4²: the new special model of the G-Class is designed for maximum off-road capabilities and offers the perfect basis for exclusive refinement. This includes an increase in the power output of the twin-turbo V8 to 368 kW / 500 HP (493 bhp) and a boost in its peak torque to 710 Nm (523 lb-ft). 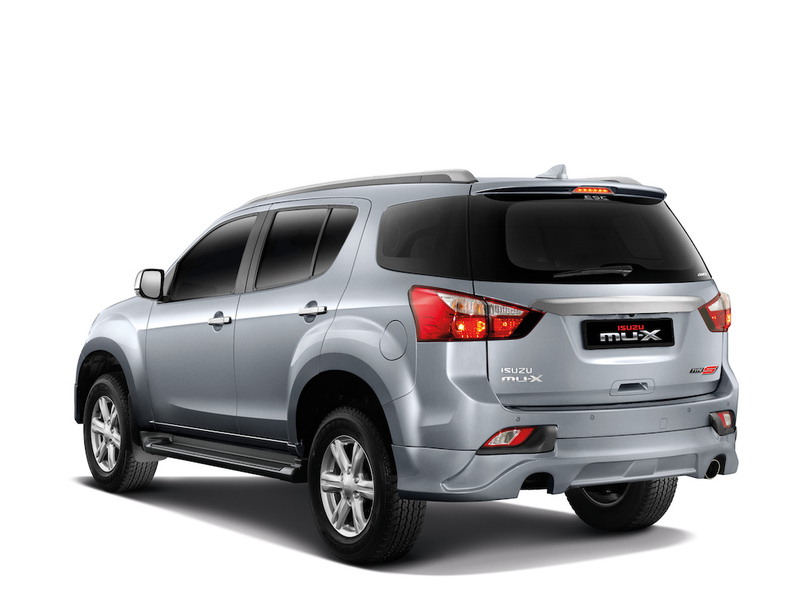 As a result, the tuned off-roader sprints from rest to 100 km/h (62 mph) in just 6.9 seconds. 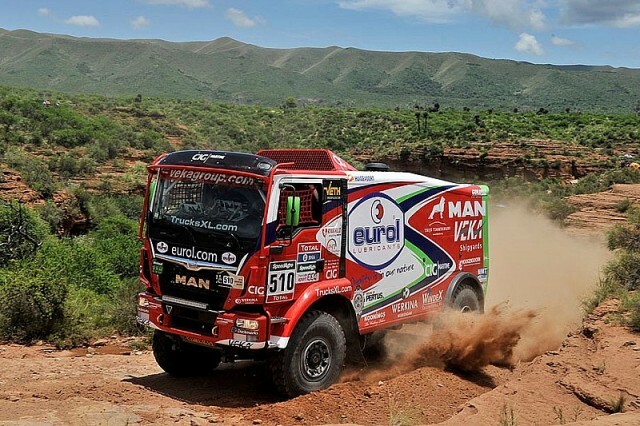 Due to the all-out off-road tires, the top speed is limited electronically to 210 km/h (130 mph). The spectacular appearance of the all-wheel-drive car is bolstered further by a high-end BRABUS paint finish and targeted BRABUS bodywork modifications. 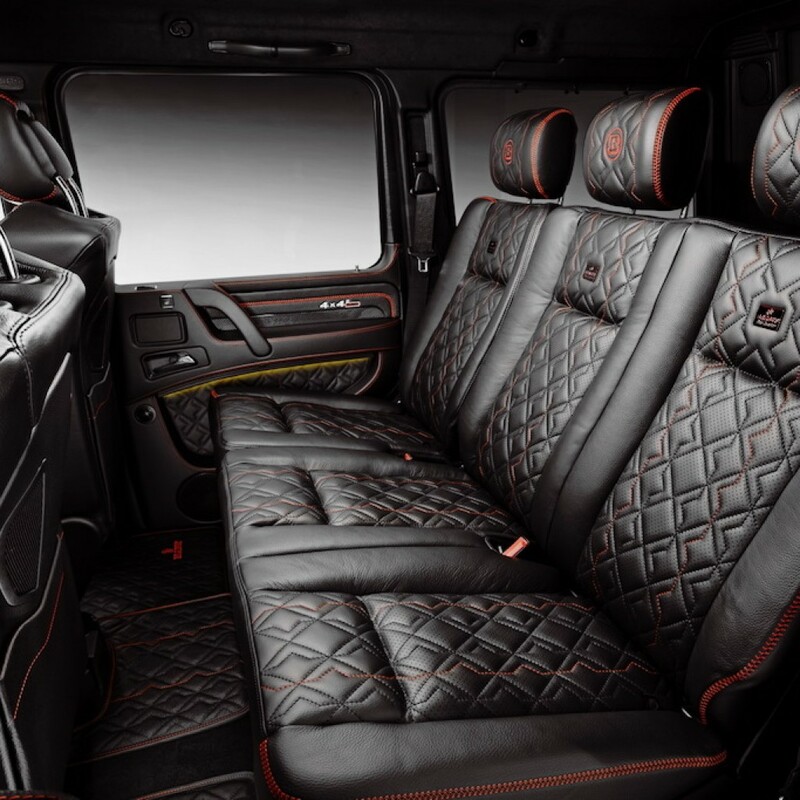 An exclusive BRABUS fine leather interior created from Mastik leather and Alcantara refines the interior. The four-liter eight-cylinder twin-turbo engine of the Mercedes G 500 4×4² produces an ex-factory output of 310 kW / 422 HP (415 bhp) and is consequently an excellent starting point for the new BRABUS B40 – 500 PowerXtra performance kit. 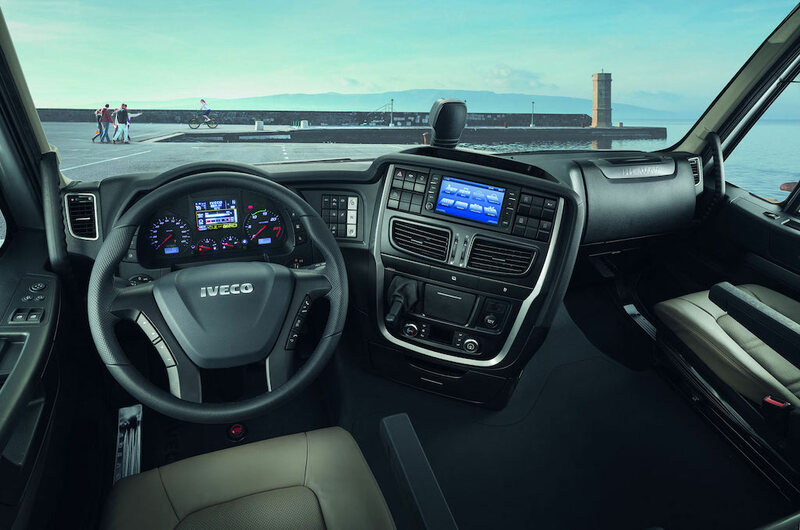 The centerpiece of the conversion is a plug-and-play control module that is adapted to the electronic engine management system. BRABUS utilized complex test cycles on state-of-the-art dynamometers as well as in terrain and on the road to recalibrate the electronic boost pressure control and reprogram the mapping for injection and ignition. The result of these modifications fully lives up to the spectacular appearance of the cross-country vehicle: An extra 58 kW / 78 HP (78 bhp) and an increase in torque by 100 Nm (74 lb-ft) make the SUV weighing more than three tons significantly more agile. The rated power output of 368 kW / 500 HP (493 bhp) at 5,600 rpm and the high peak torque of 710 Nm (523 lb-ft), available on a plateau between 2,250 and 4,250 rpm, harmonize perfectly with the automatic transmission. 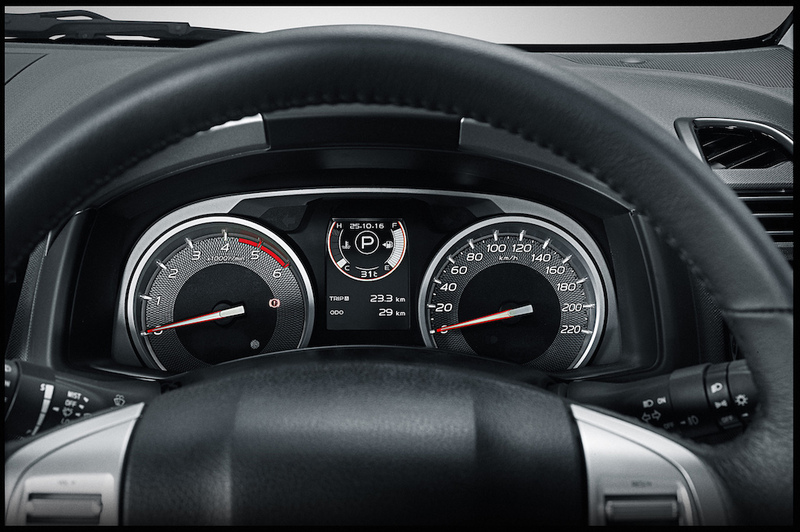 Its seven speeds can also be changed manually with ergonomic BRABUS aluminum paddle shifters on the steering wheel. Equipped with BRABUS B40 – 500 PowerXtra engine tuning, the 4×4² sprints from rest to 100 km/h (62 mph) in just 6.9 seconds. The top speed of the SUV is limited electronically to 210 km/h (130 mph) to protect the all-terrain tires. 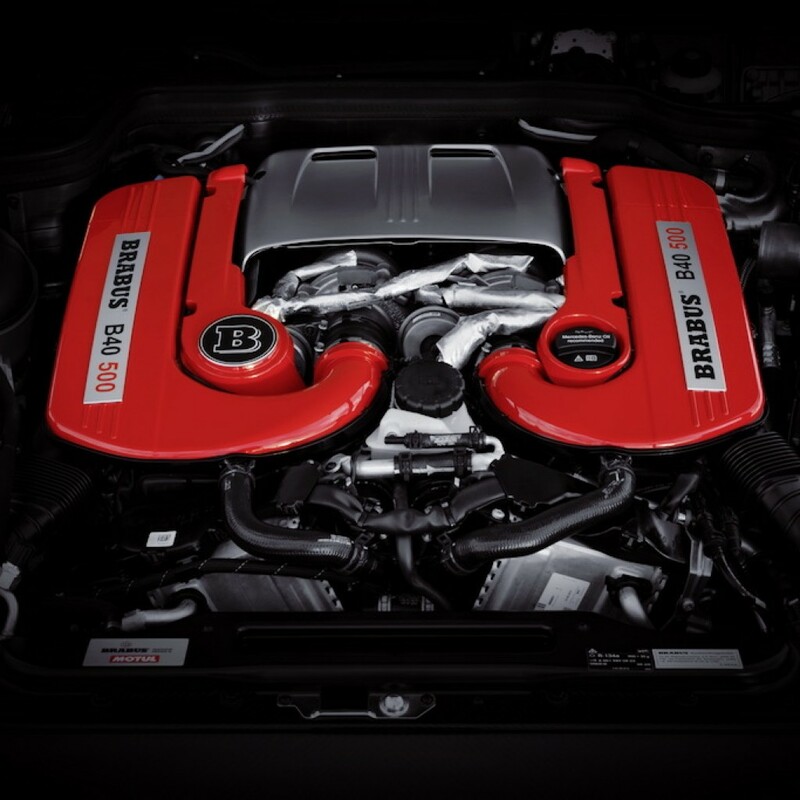 Of course, like all its other components, BRABUS backs this performance kit with the in this industry unrivalled BRABUS Tuning Warranty of three years, up to 100,000 kilometers/62,000 miles (see BRABUS Warranty Terms and Conditions, updated July 2013). BRABUS exclusively uses high-tech lubricants from technology partner MOTUL. Sound, performance and longevity are the outstanding features of the BRABUS stainless-steel sports exhaust system with actively controlled butterfly valves. 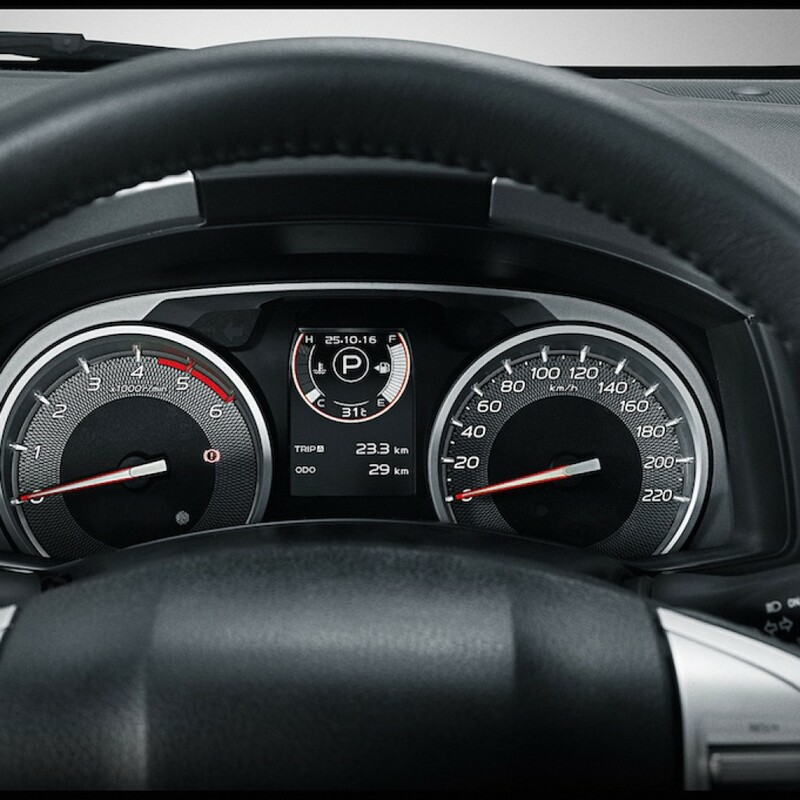 A button on the steering wheel lets drivers choose between a subtle “coming home” mode and a markedly powerful exhaust note in the “sport” position. The BRABUS exhaust features dual chrome tailpipes on each side of the vehicle and thereby adds some stunning visual highlights in a thrilling side pipe design. 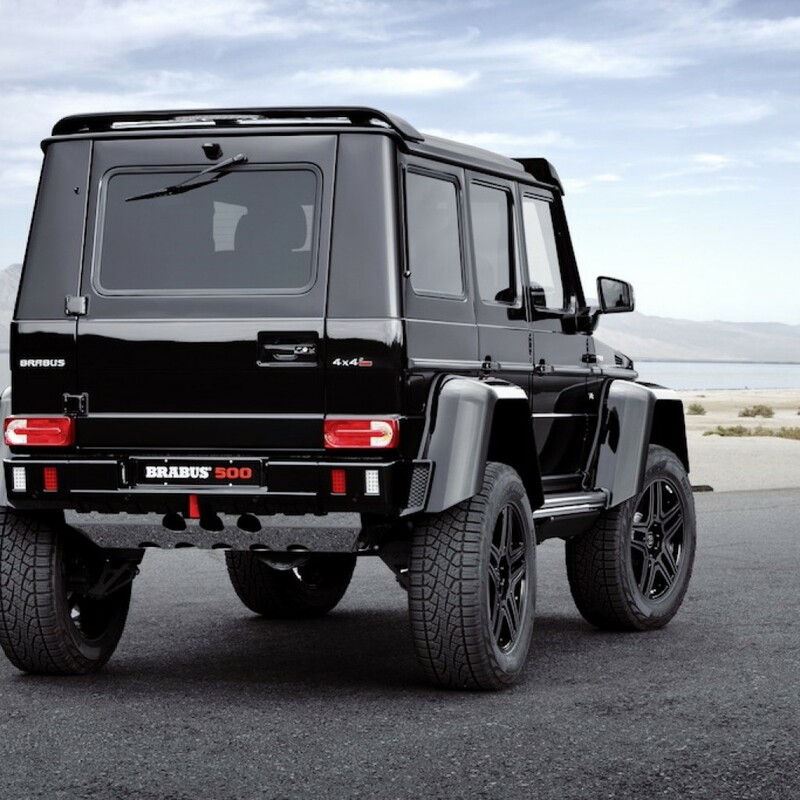 Of course, BRABUS also lends the highest-riding G-Class model ever an even more fascinating appearance by giving the front an equally sophisticated and striking update. BRABUS front bumper panels on the left and right as well as a mirror-polished underride guard upgrade the production bumper. An additional panel under the special radiator grille with integrated BRABUS logo furthermore characterizes the face. The BRABUS hood scoop, the new radiator grille and headlamp surrounds are all made from clear-coated carbon and thereby add further distinctive highlights. 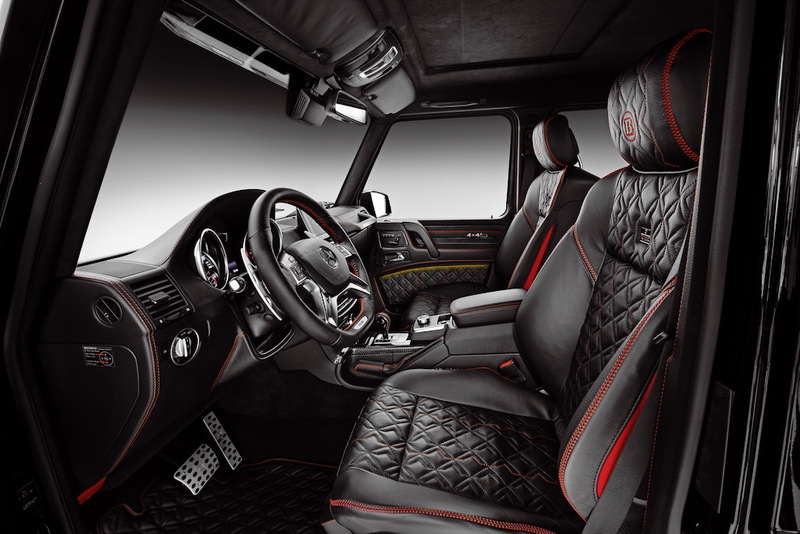 The special BRABUS lighting concept for the G-Class is another visual and functional highlight. It includes LED lights with chrome surrounds integrated into the BRABUS front bumper panels. The black-tinted BRABUS xenon headlamps and daytime running lights with integrated turn signal function are even more dominating features. Precise-fit covers made from clear-coated carbon replace the now redundant production turn signals on top of the fenders. In concert with the carbon structure of the hood scoop and the carbon covers for the exterior mirrors, they effectively round of the menacing front of the SUV. 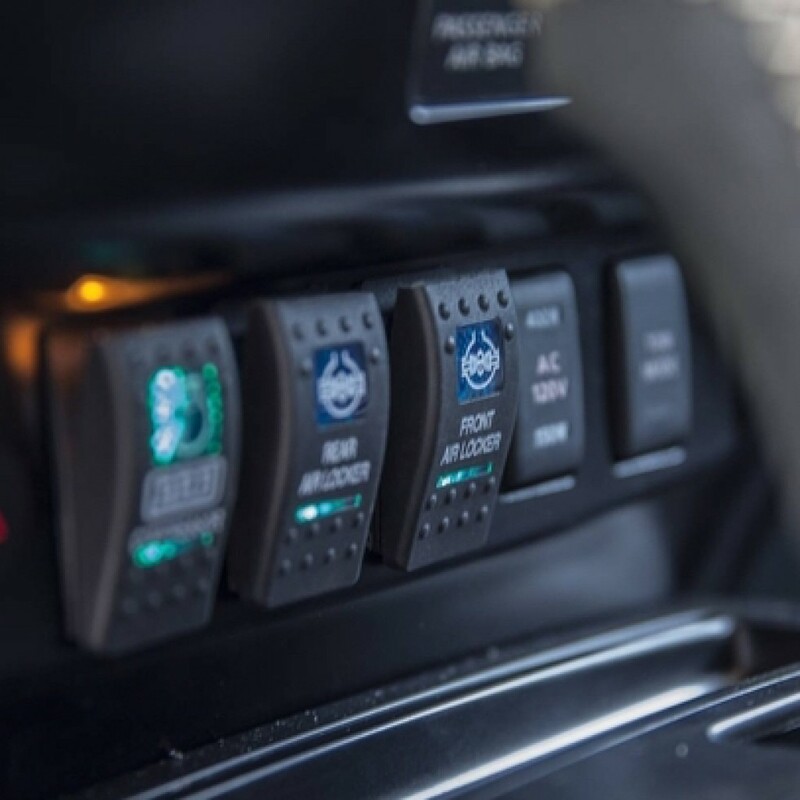 In addition, BRABUS upgrades the sides with underfloor lighting for the running boards, which is activated by pulling on a door handle or by operating the keyless-entry remote. Like its counterpart at the front, the rear underride guard is also mirror-polished. 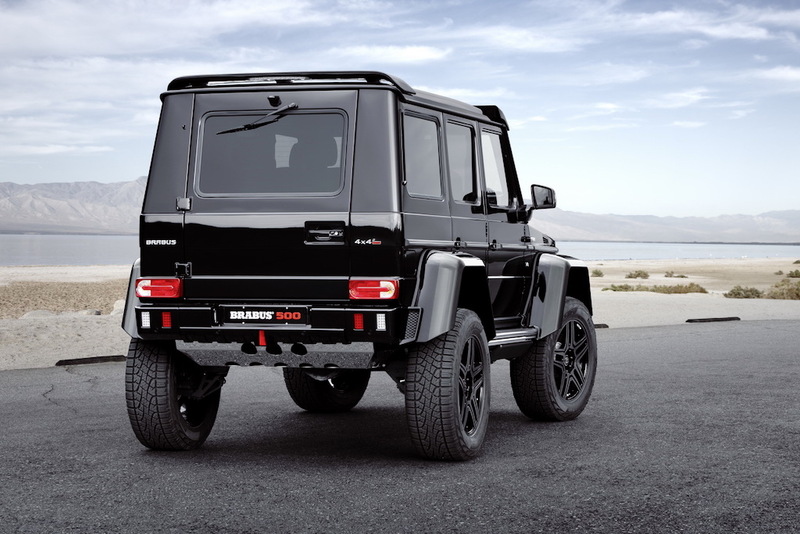 The BRABUS rear bumper completes the thrilling rear appearance of the mighty off-roader. 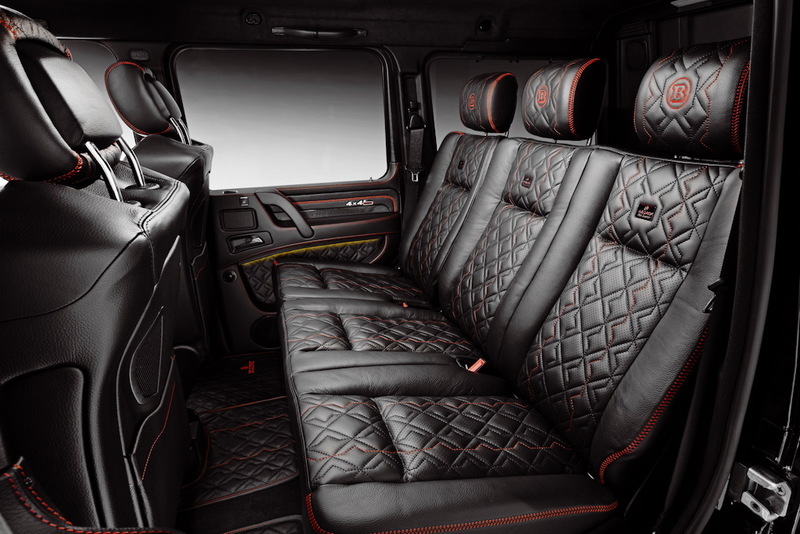 Another focal point of the BRABUS refinement for the Mercedes G 500 4×4² is the interior. 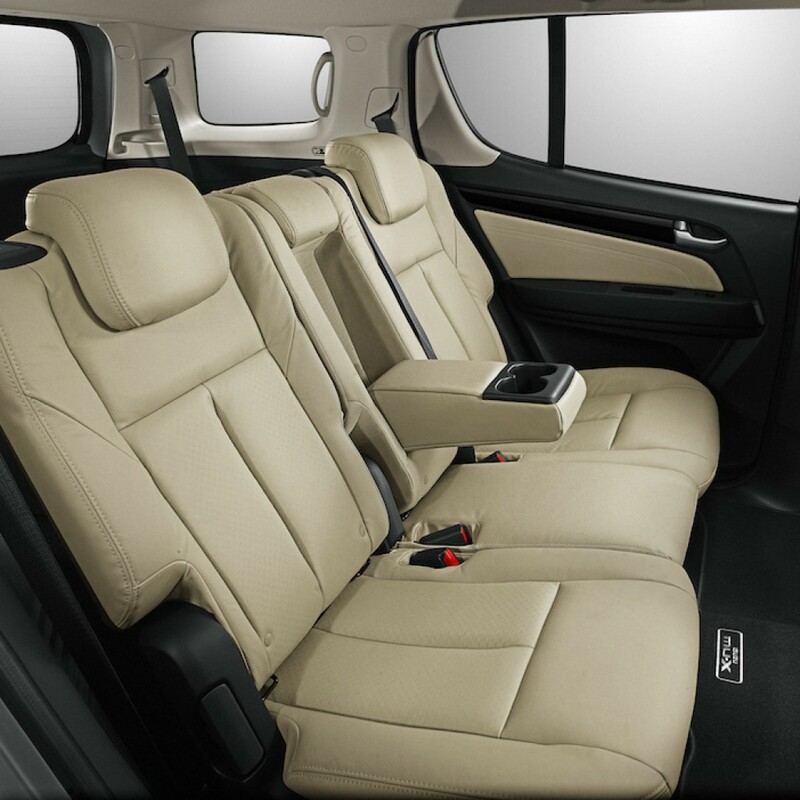 The company upholstery shop created an exclusive BRABUS fine leather with arrow-shaped quilting from especially soft and breathable black Mastik leather for IAA 2015 show car. Red seams add an interesting contrast. An Alcantara headliner plus other Alcantara components in the interior as well as carbon inlays adds even more highlights that are striking. Stainless-steel scuff plates with backlit BRABUS logo welcome the passengers. To make getting in and out easier, BRABUS also offers optional special power-retractable BRABUS steps. 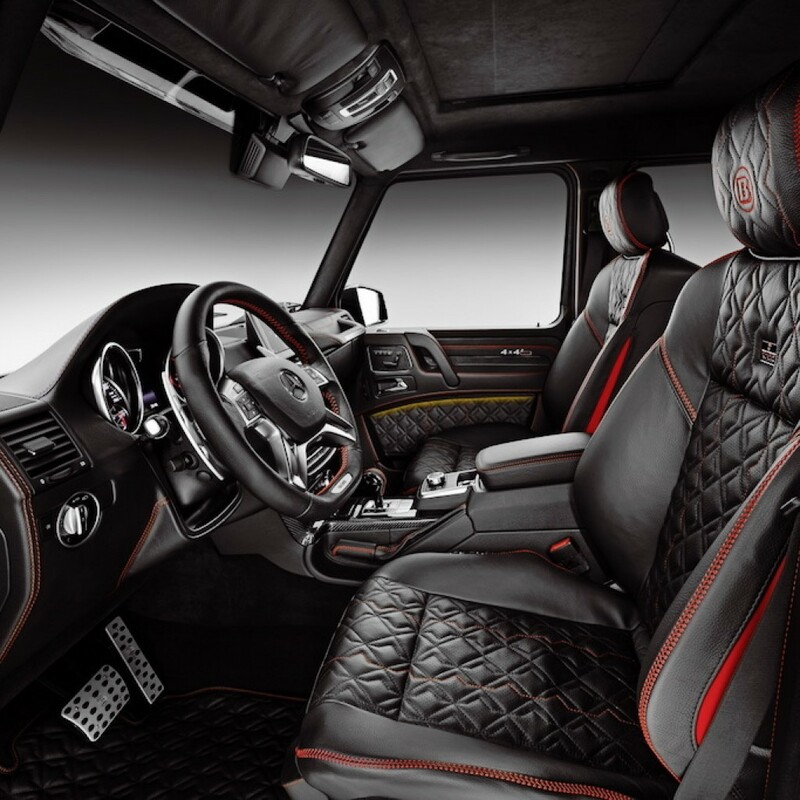 The BRABUS interior designers add keen highlights with high-class aluminum components such as pedals and door pins. BRABUS 500 G 4×4²: city 16.0 l/100 km, highway 12.5 l/100 km, combined: 13.8 l/100 km. Combined CO2 emissions: 323 g/km, efficiency class E.
Volkswagen Commercial Vehicles sold 342,000 vehicles worldwide in the first nine months of 2016. At €8.0 billion, sales revenue was up 6.7% over the prior-year period. 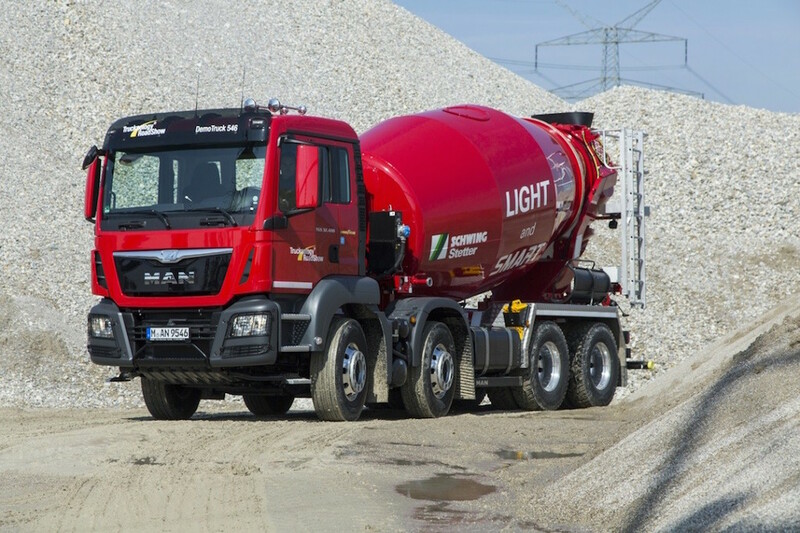 As in the previous year, MAN Commercial Vehicles sold 74,000 units in the period from January to September of this year. Operating profit before special items rose to €204 (52) million. Volume effects and improved margins in Europe as well as the structural improvements introduced had a positive effect. MAN Power Engineering’s sales revenue decreased by 6.9% year-on-year to €2.6 billion in the first nine months of 2016. This reduced the operating profit by €51 million to €176 million. 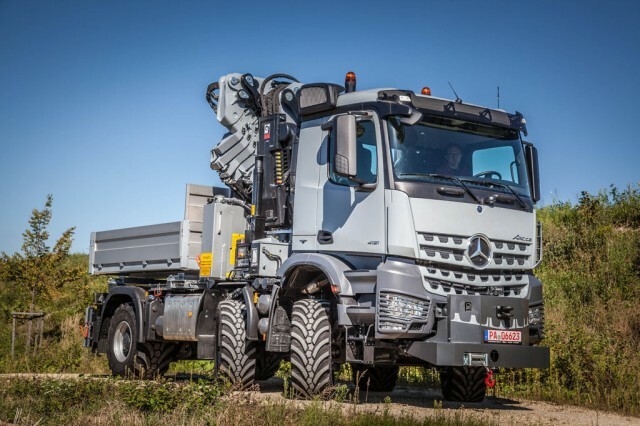 Custom truck builder, Paul Nutzfahrzeuge has converted a Mercedes-Benz Actros truck with crane for special application in the energy industry. 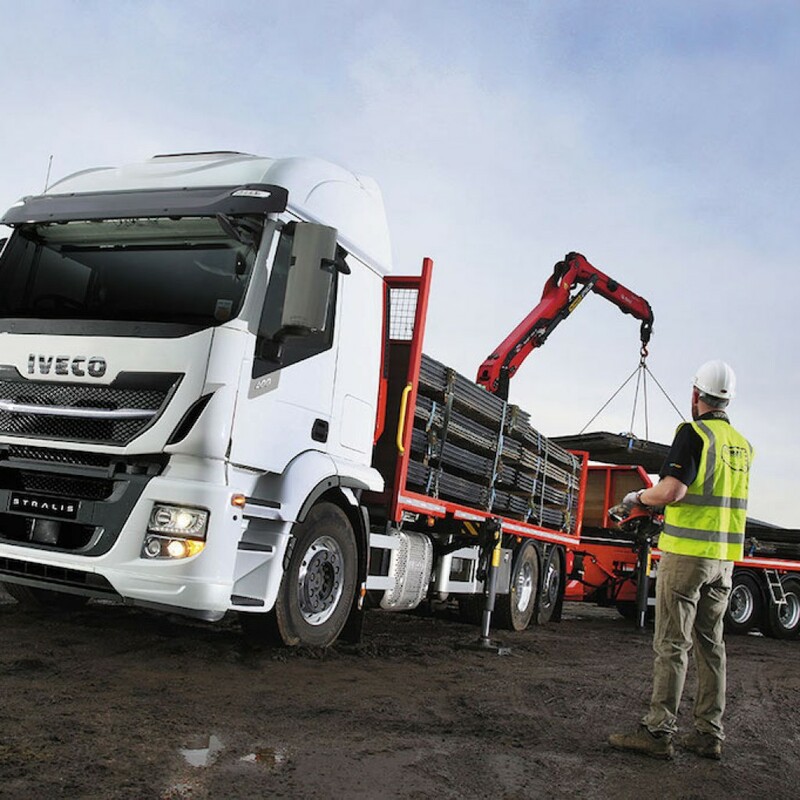 It is an Actros 4151 AK 6×6 and was converted from a four axle truck by removing the rearmost axle. 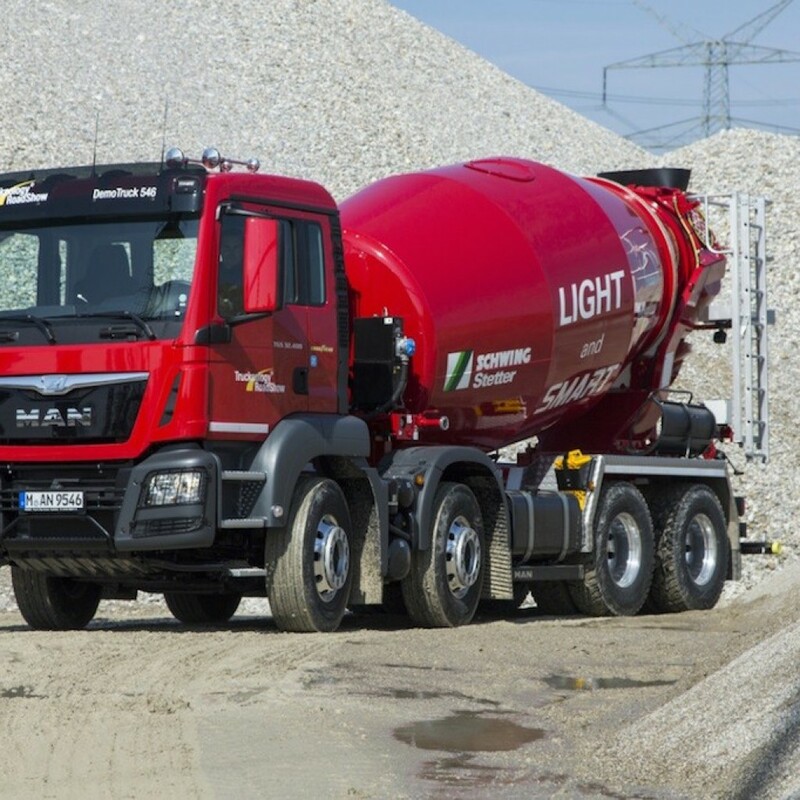 The front two axles are steered and the result is an all wheel drive truck and a three axle truck will be better for manoeuvrability off-road. Volkswagen Commercial Vehicles sold 342,000 vehicles worldwide in the first nine months of 2016. At €8.0 billion, sales revenue was up 6.7% over the prior-year period. Operating profit rose by €79 million to €392 million, as a result of higher volumes and mix effects as well as optimized product costs. Unit sales by the Scania brand amounted to 60,000 trucks and buses in the first three quarters of 2016. Higher sales figures in Europe offset the decline in demand in Turkey, South America and Russia. 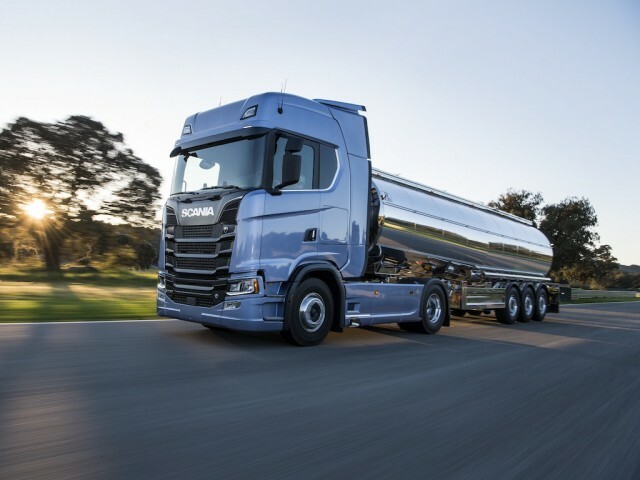 At Scania, operating profit before special items amounted to €802 (748) million. According to World Health Organization figures, road traffic injuries are the leading cause of death among young people aged 15–29 years. More than 1.2 million people die each year worldwide as a result of traffic crashes. 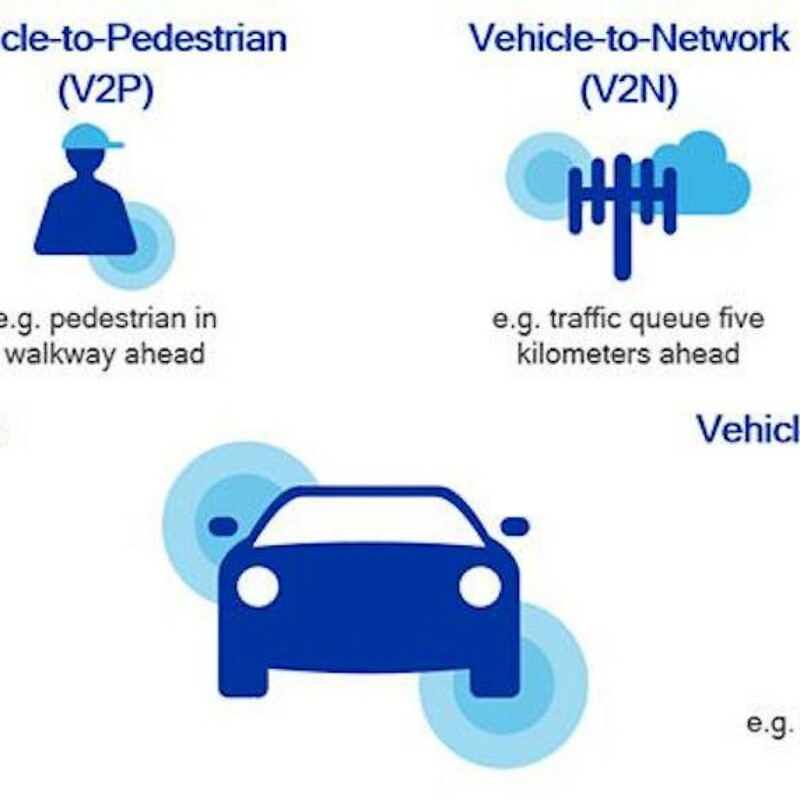 Vehicle-to-Everything (V2X) technologies, starting with 802.11p and evolving to Cellular V2X (C-V2X), can help bring safer roads, more efficient travel, reduced air pollution, and better driving experiences. V2X is a key technology for enabling fully autonomous transportation infrastructure. While advancements in radar, LiDAR (Light Detection and Ranging), and camera systems are encouraging and bring autonomous driving one step closer to reality, it should be known that these sensors are limited by their line of sight. V2X complements the capabilities of these sensors by providing 360 degree non-line-of sight awareness, extending a vehicle’s ability to “see” further down the road – even at blind intersections or in bad weather conditions. 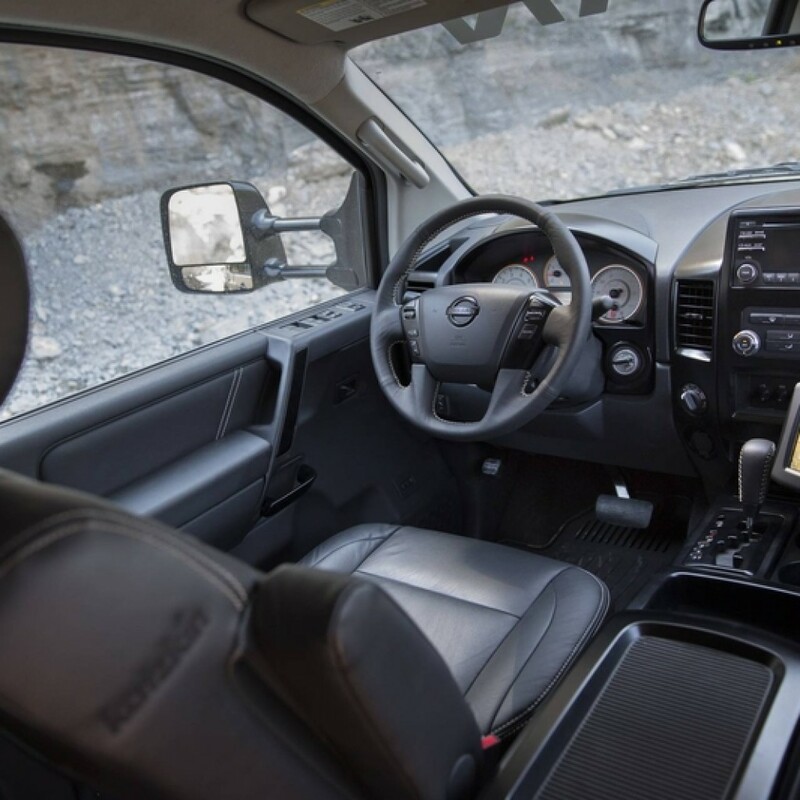 Beyond that, tomorrow’s autonomous vehicles require continued technology evolution to accommodate ever-expanding safety requirements and use cases. The path to 5G will deliver this evolution starting with the C-V2X part of 3GPP release 14 specifications, which is expected to be completed by the end of this year. 1. The first enables direct communication between vehicles and each other, pedestrians, and road infrastructure. 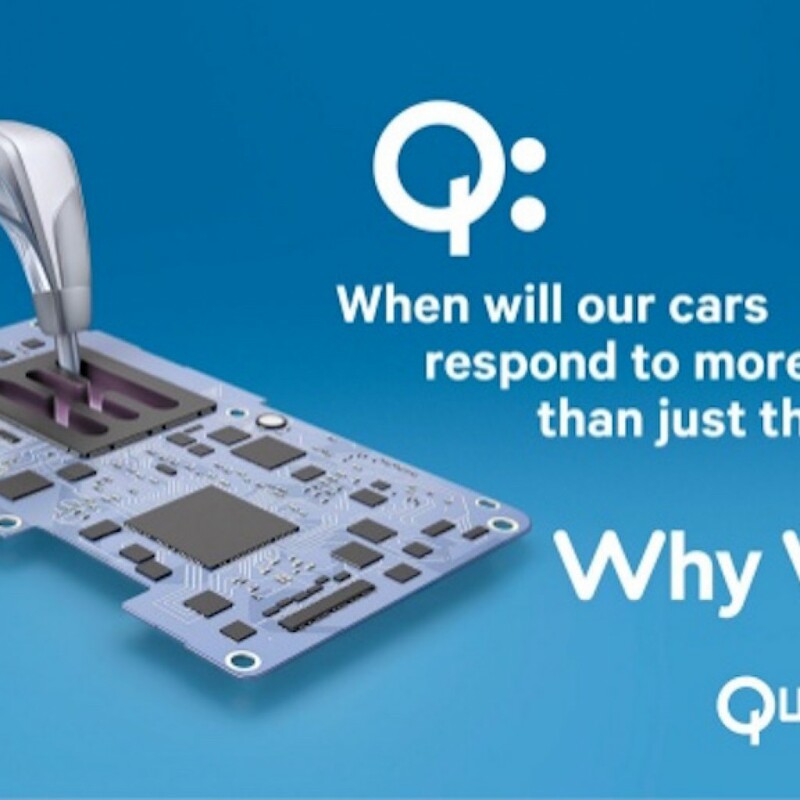 We are building on LTE Direct device-to-device communications, evolving the technology with innovations to exchange real-time information between vehicles traveling at fast speeds, in high-density traffic, and even outside of mobile network coverage areas. 2. 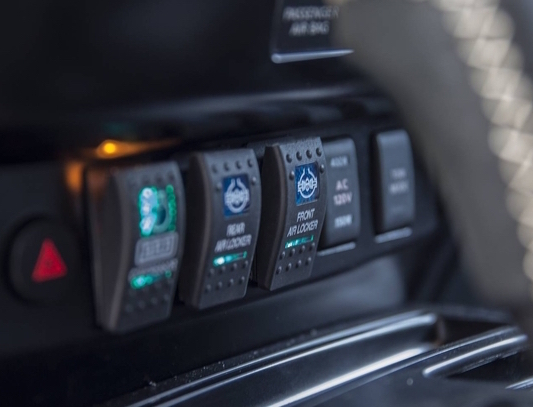 The second transmission mode uses the ubiquitous coverage of existing LTE networks, so you can be alerted to an accident a few miles ahead, guided to an open parking space, and more. 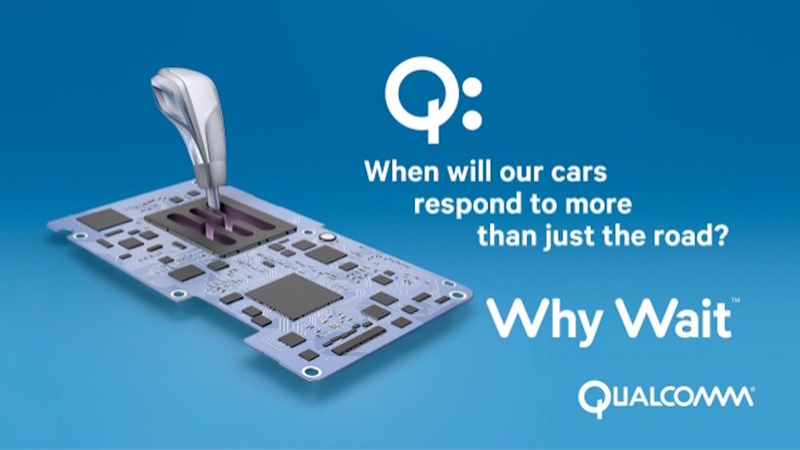 To enable this mode, we are optimizing LTE Broadcast technology for vehicular communications. The difference between a vehicle collision and a near miss comes down to milliseconds. With approximately twice the range of DSRC, C-V2X can provide the critical seconds of reaction time needed to avoid an accident. 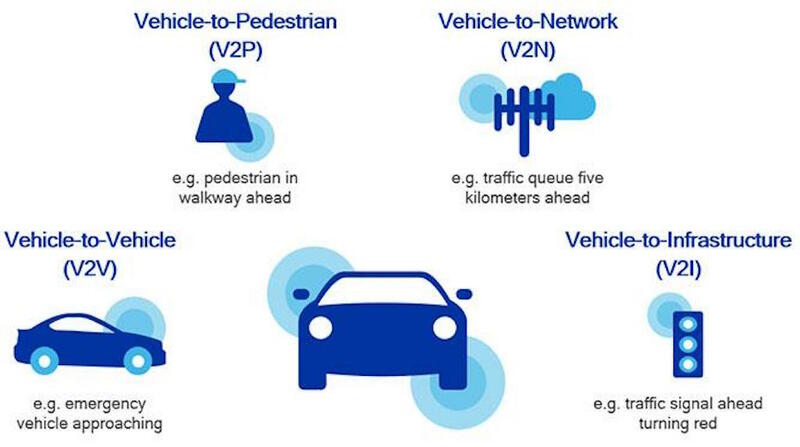 Beyond safety, C-V2X also enables a broad range of use cases – from better situational awareness, to enhanced traffic management, and connected cloud services. Cooperative-collision avoidance: For self-driving vehicles, individual actions by a vehicle to avoid collisions may create hazardous driving conditions for other vehicles. Cooperative-collision avoidance allows all involved vehicles to coordinate their actions to avoid collisions in a cooperative manner. 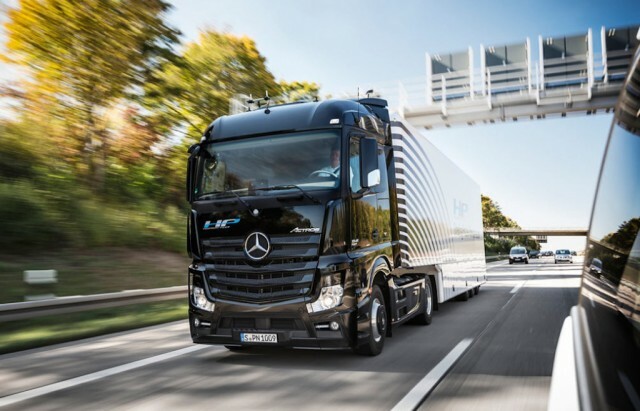 High-density platooning: In a self-driving environment, vehicles communicate with each other to create a closely spaced multiple vehicle chains on a highway. 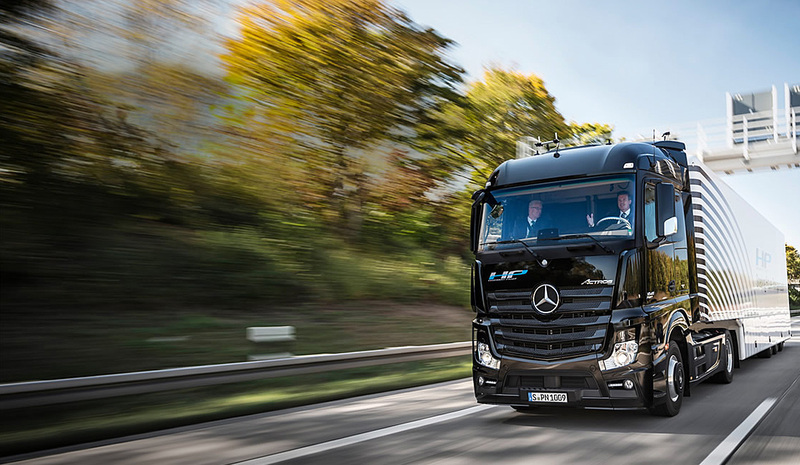 High-density platooning will further reduce the current distance between vehicles down to one meter, resulting in better traffic efficiency, fuel savings, and safer roads. See through: In situations where small vehicles are behind larger vehicles (e.g., trucks), the smaller vehicles cannot “see” a pedestrian crossing the road in front of the larger vehicle. 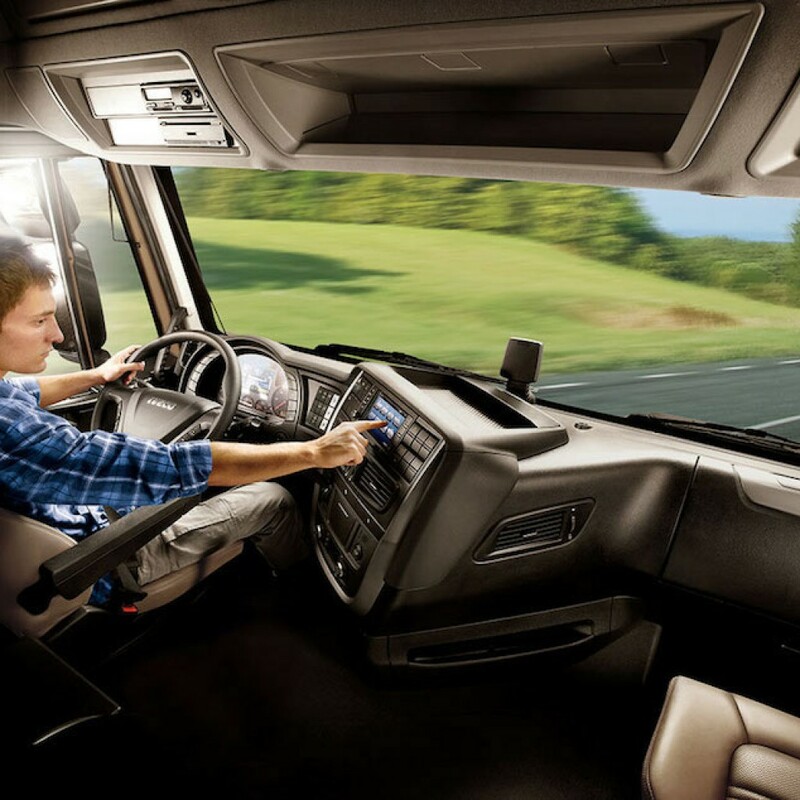 In such scenarios, a truck’s camera can detect the situation and share the image of the pedestrian with the vehicle behind it, which sends an alert to the driver and shows him the pedestrian in virtual reality on the windshield board. 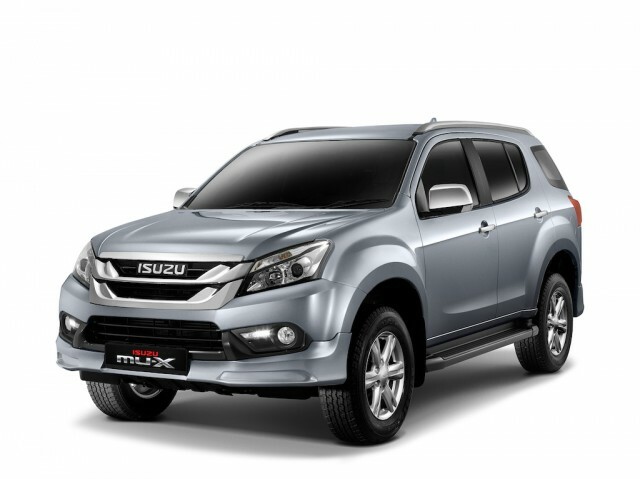 Isuzu Malaysia Sdn Bhd has launched a special edition seven-seater Isuzu mu-X Type S sport utility vehicle (SUV), which is based on the D-Max platform, was also unveiled. 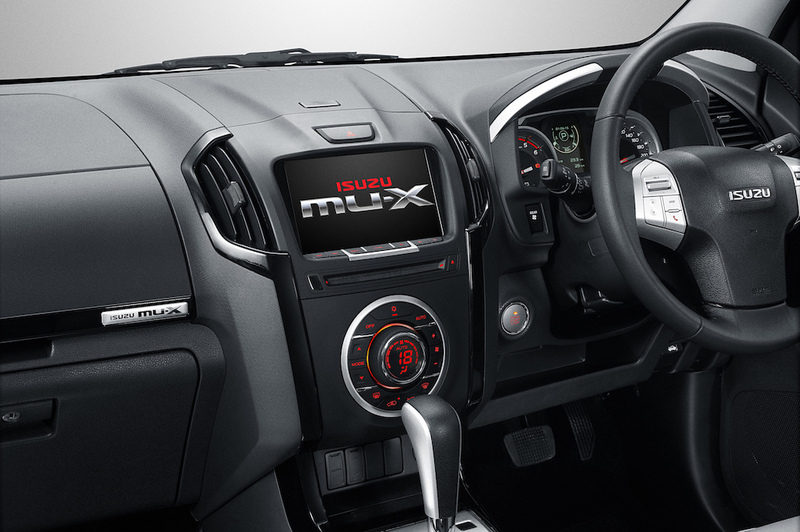 The mu-X Type S is enhanced with premium features such as Passive Entry and Start System (PESS), new 8-inch display audio system, new e-Lumax meter panel, new ivory color leather seat and armrest, new shark fin antenna, new piano black interior dashboard, door and air-condition vent trims, new body-colored front and rear skirting, rear bumper garnish and Type S badge. 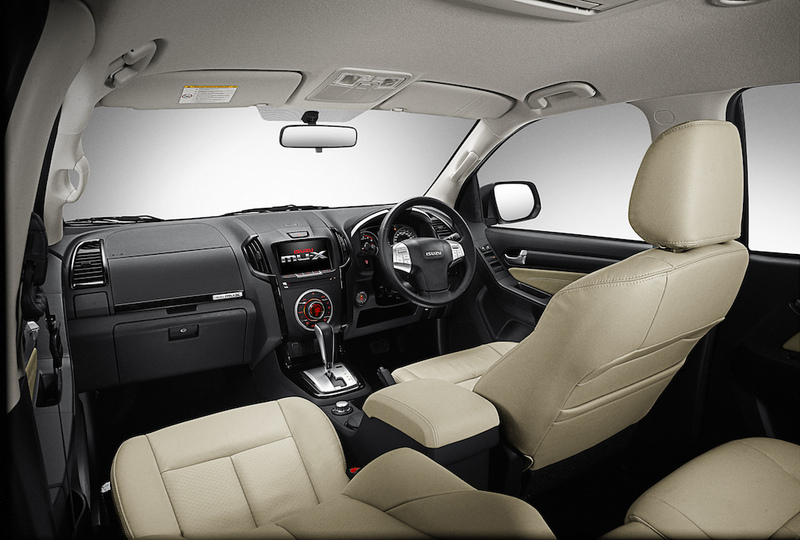 Hill Start Assist (HSA) has also been incorporated into the vehicle’s safety features. 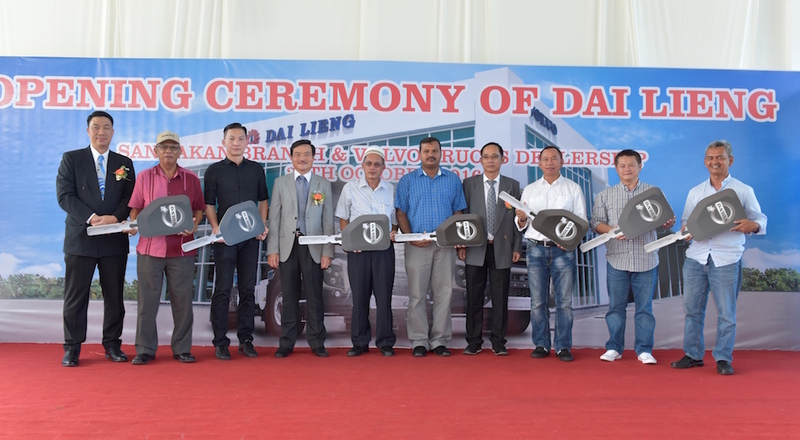 Volvo Malaysia’s official Sandakan dealership operated by Dai Lieng Machinery Sdn Bhd has recently been upgraded to a new cutting-edge facility in a continued effort to uphold its reputation for reliability, excellent aftermarket services and customer satisfaction. 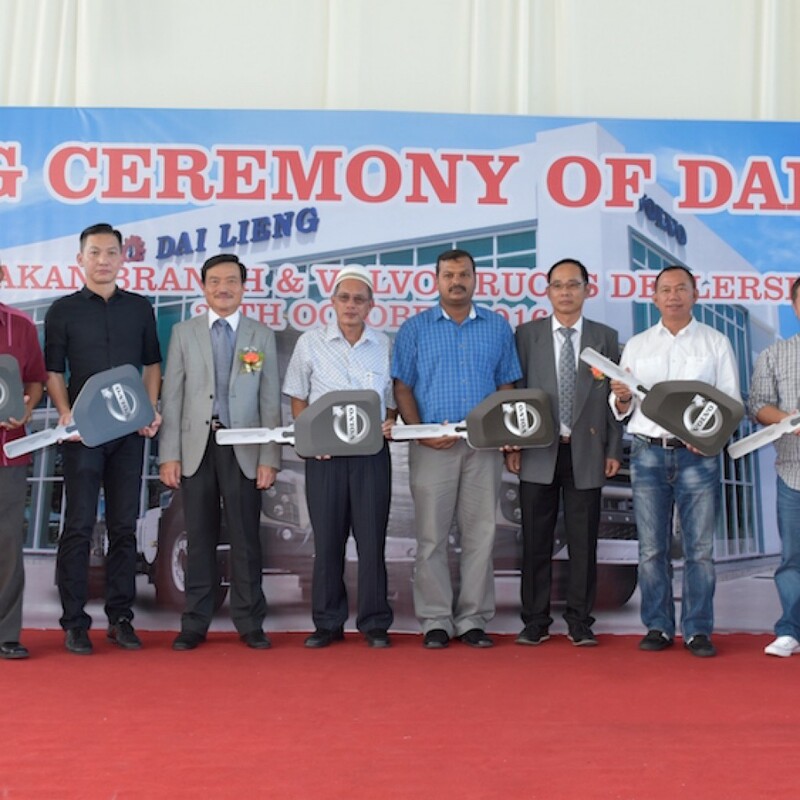 Bringing the partnership to a whole new level, Dai Lieng Machinery invested RM7.9 million into this new facility which offers a full range of services and on-site facilities. This is to cater to customers primarily from the state’s east coast. 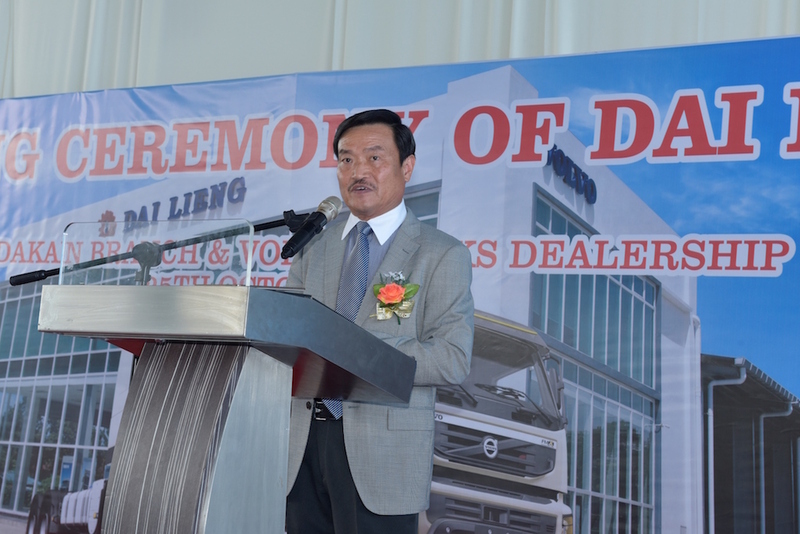 The Sandakan dealership is Dai Lieng Machinery’s third after its Volvo Trucks dealerships in Kota Kinabalu and Miri. 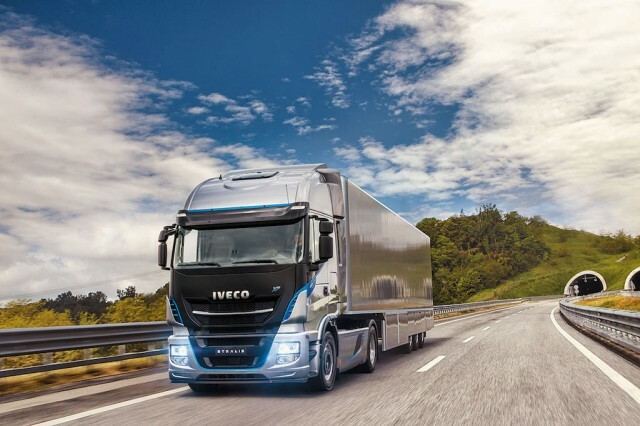 The company, whose core business activities include sales of construction machinery, material handling and land transportation and industrial equipment, has maintained a solid partnership with Volvo Trucks since 2008. 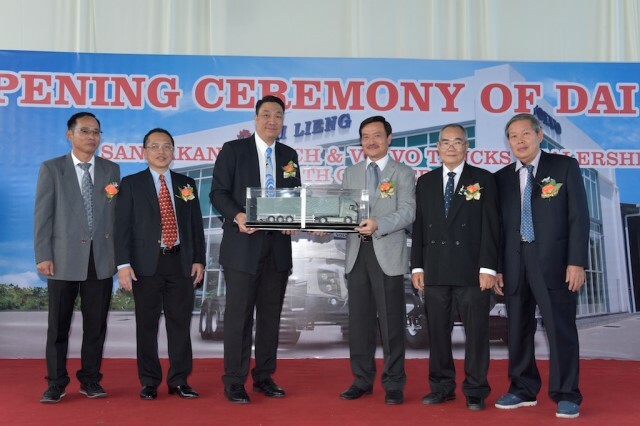 The upgraded Sandakan dealership further enhances Volvo’s network points. 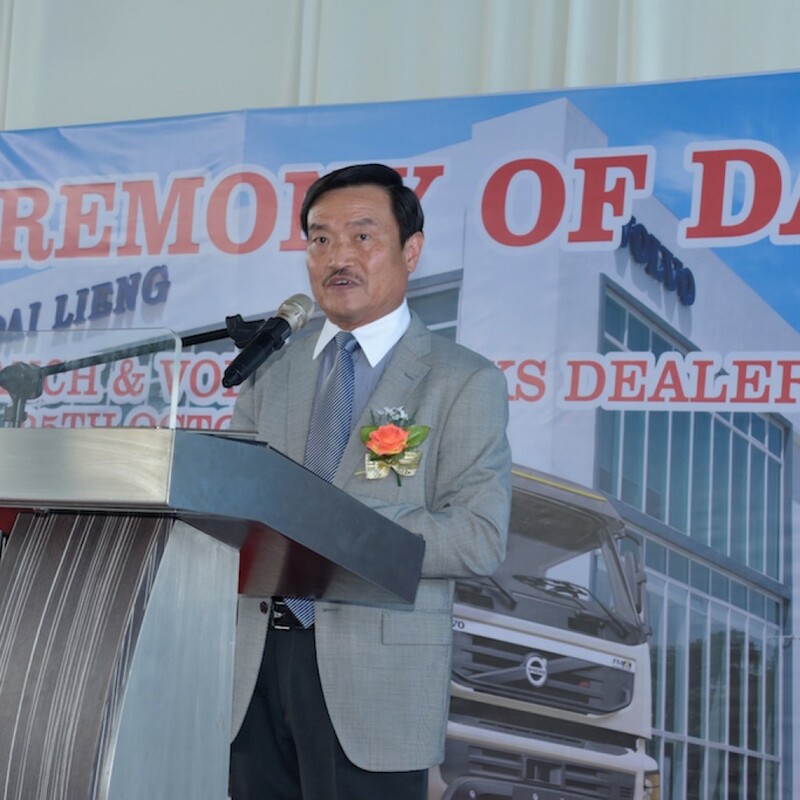 In East Malaysia, there are 2 dealerships in Sabah and four in Sarawak which delivers a combination of sales and aftermarket services for both Volvo Trucks and Volvo Buses. In total, Volvo Malaysia Sdn Bhd today has 13 network points nationwide, with seven located in Peninsular Malaysia. 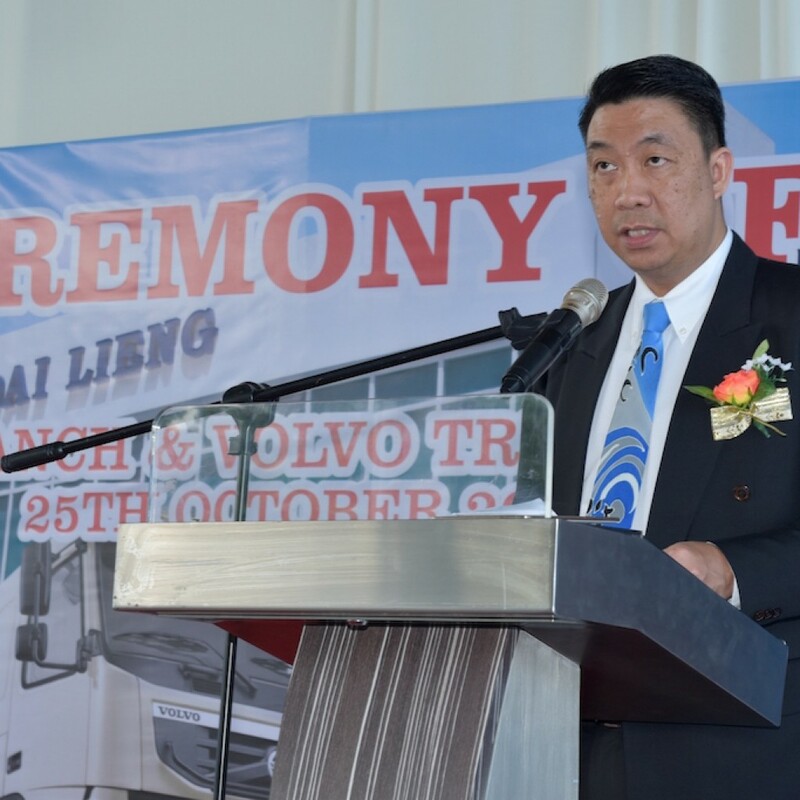 He added that the new dealership is strategically located as it is within easy reach of customers which allows Dai Lieng to provide them with fast and prompt service delivered by Volvo’s well-trained mechanics and skilled staff. The upgrade in Sandakan is an ongoing chapter of Volvo Malaysia’s network strategy plan which has previously seen upgrades done to Sibu and Ipoh in 2015 and the launch of the Volvo Trucks flagship in Port Klang in 2016. 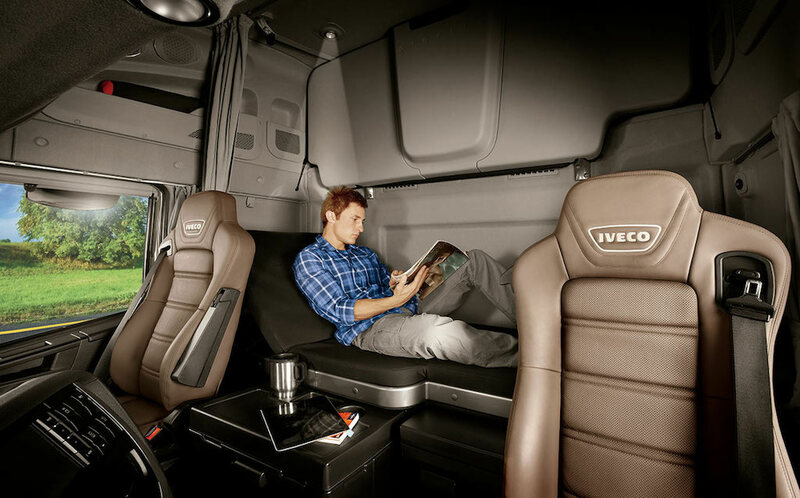 Volvo Trucks aim to raise the bar in retail excellence by providing better facilities to improve productivity, service quality and customer satisfaction and most importantly, reduce the average travel distance between each of its dealer points to within three hours. 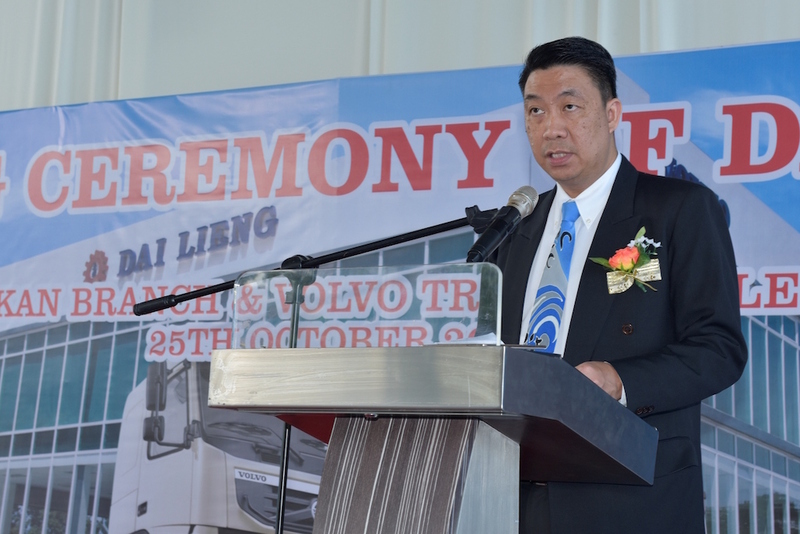 Jerome Wong, Vice President of Sales and Logistics, Volvo Malaysia Sdn Bhd said the upgraded dealership was a testament of Volvo’s commitment and continued capabilities to provide excellent aftermarket services based on global standards to local customers, adding that the dealership would also support customers of Volvo Buses. With both Volvo Trucks and Dai Lieng Machinery geared to provide excellent aftermarket service, customers can rely on a well-trained team to provide on-site service to fleet owners at their convenience. 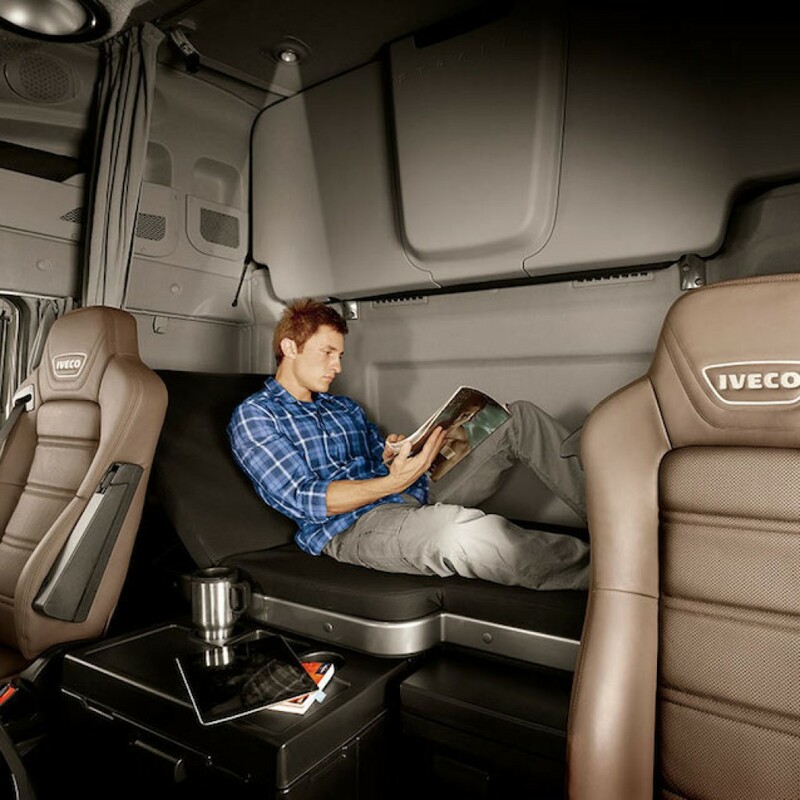 In celebration of its newly-upgraded facility, the Volvo Trucks dealership in Sandakan is currently offering attractive promotions including FREE Volvo Truck Inspection and discounts up to 70% on Genuine Volvo Parts. Terms and conditions apply. For more information, please contact 089-673888 or email to sandakan@dailieng.com.my. 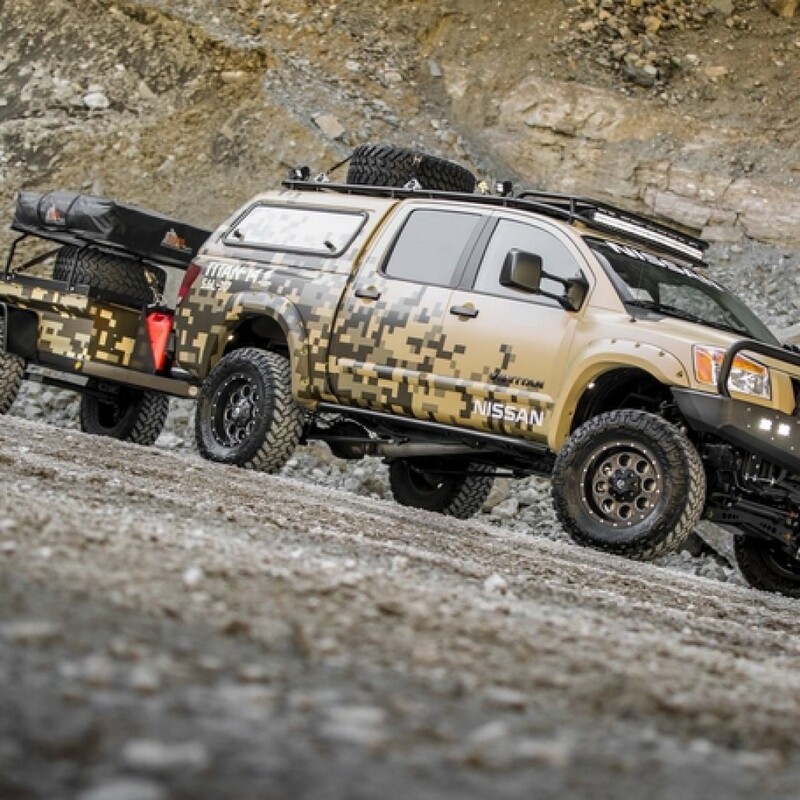 This is the ruggedly tailored Nissan Titan, piloted by two Wounded Warrior Project® Alumni was primed with all the necessary equipment to take on the rigorous Alaskan wilderness. 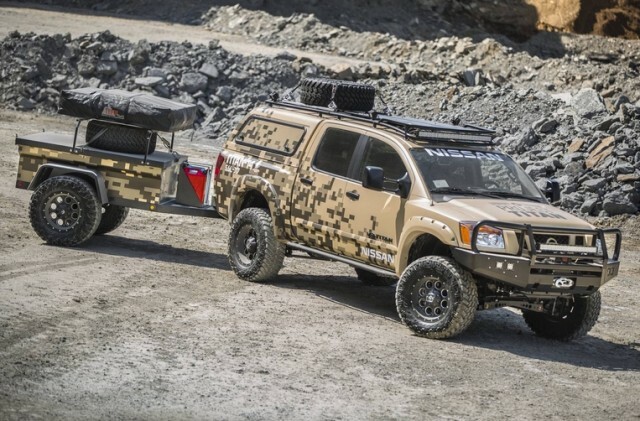 Using this Titan as an example you could take you current Navara (which has a similar design) and ‘trick up’ your truck. 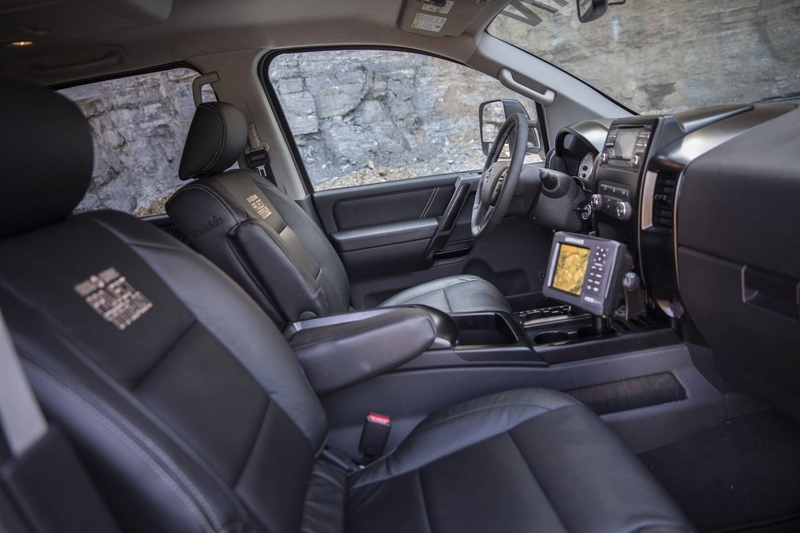 Starting with a solid foundation – a rugged 2014 Titan Crew Cab PRO-4X®– fans on the internet voted on 10 different areas of customization to help the Titan conquer Alaska’s challenging terrain – some of the most treacherous in the world. 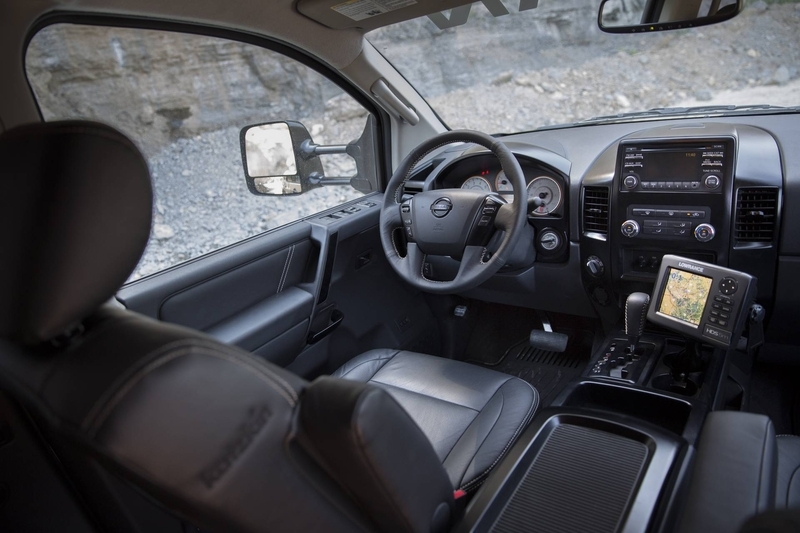 Fans voted at each stage along the way, giving Nissan direction for almost every inch of the truck. 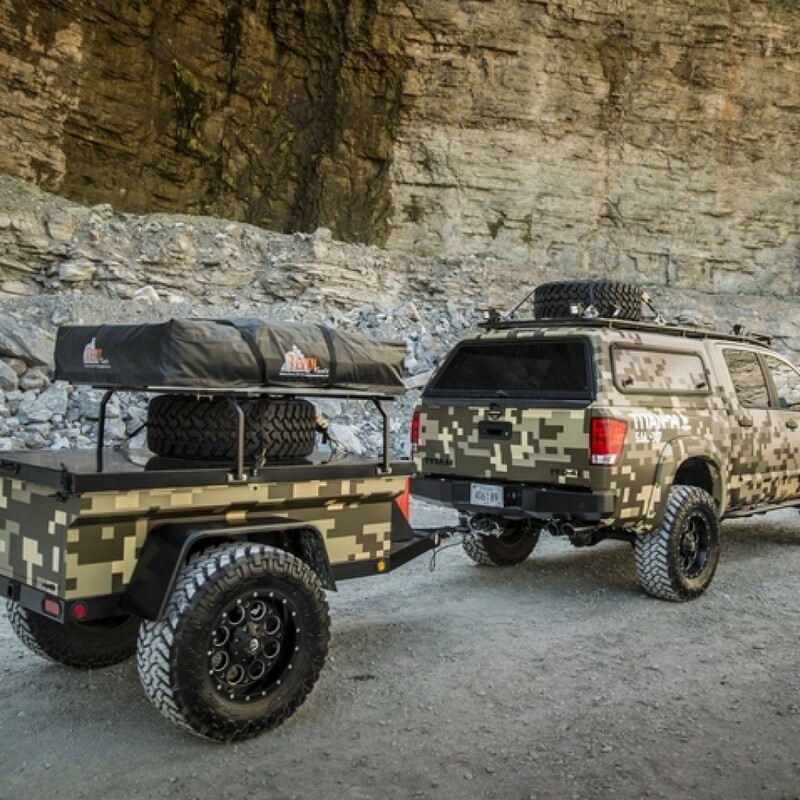 Outside, a “Recon Titan” wrap with a digital-camouflage design pays homage to some of the most capable vehicles in the military. 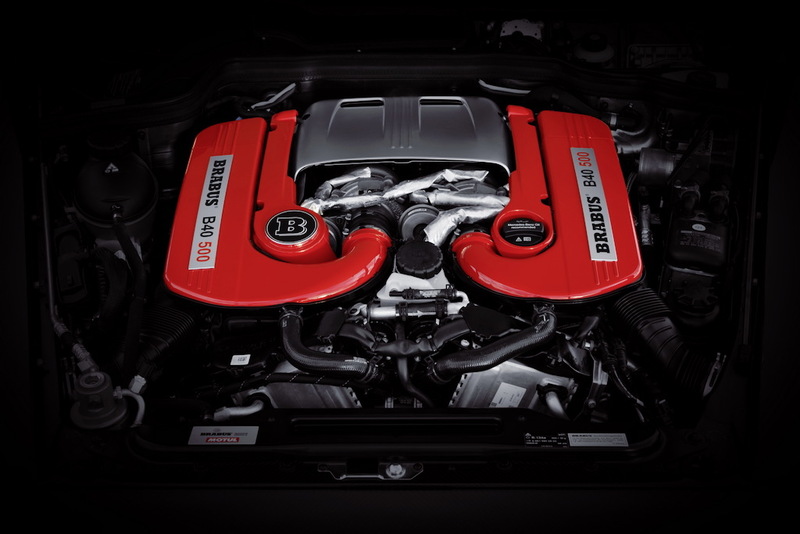 A NISMO cold-air intake and Borla cat-back exhaust system open up airflow on both ends of the Titan’s Endurance® 5.6-liter V-8 engine. 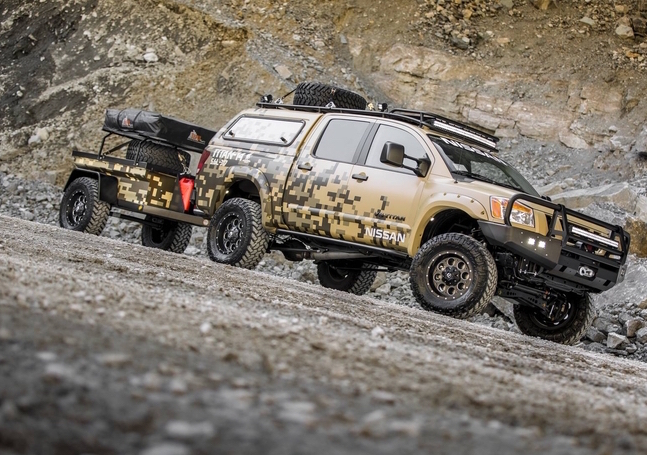 the hazardous Alaskan landscape is handled by 18-inch Fuel Revolver D525 wheels wrapped in 35-inch Nitto Trail Grappler M/T tires. Come nightfall, Bulldog LED Lighting illuminates the way, while an ARB Deluxe Bull Bar provides high-quality protection to help conquer the unknown. 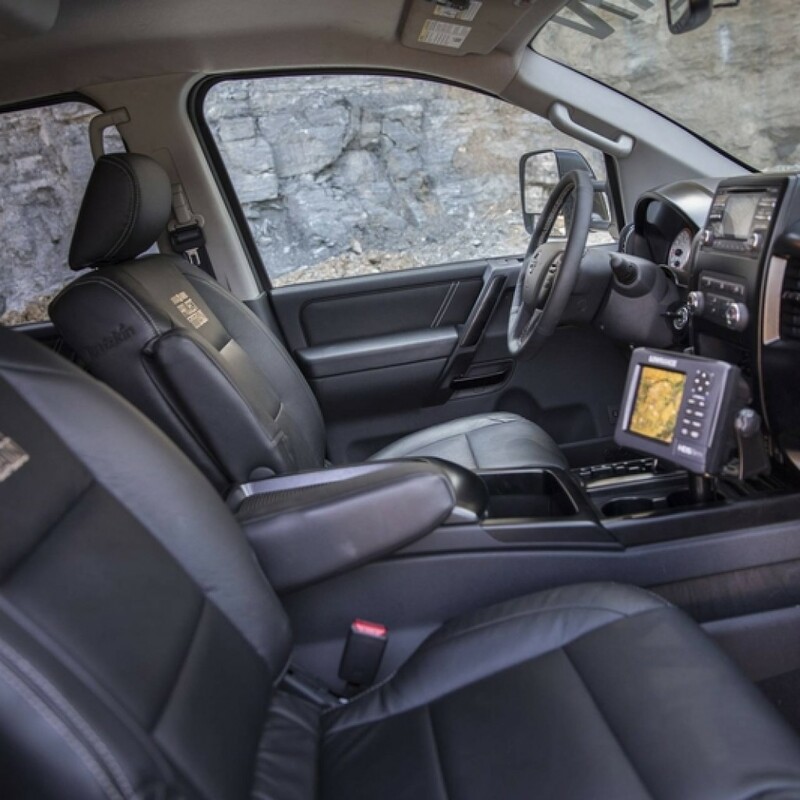 Inside, a streamlined interior gives the truck a more customized feel, while a freshened shifter and steering wheel lead to a more comfortable drive. New, rugged Katzkin leather-wrapped seats feature Project Titan and Wounded Warrior Project embroidery. 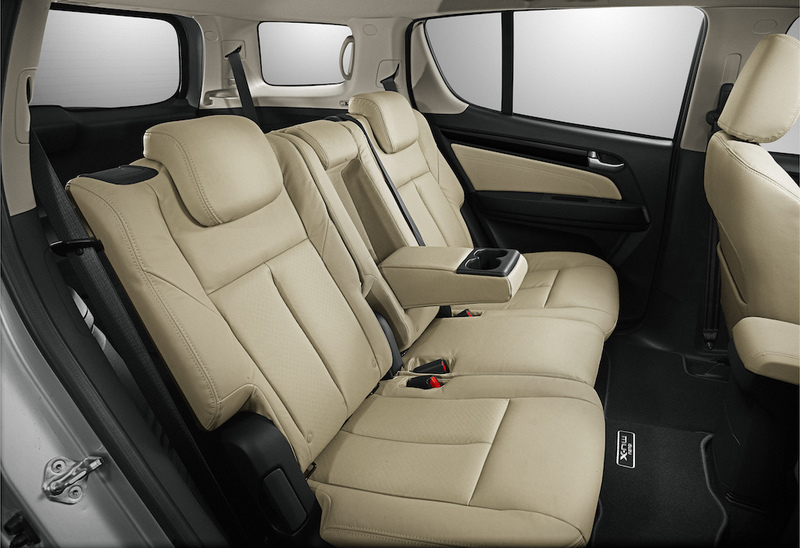 Coordinated tan stitching is found on the seats, steering wheel and door panels. 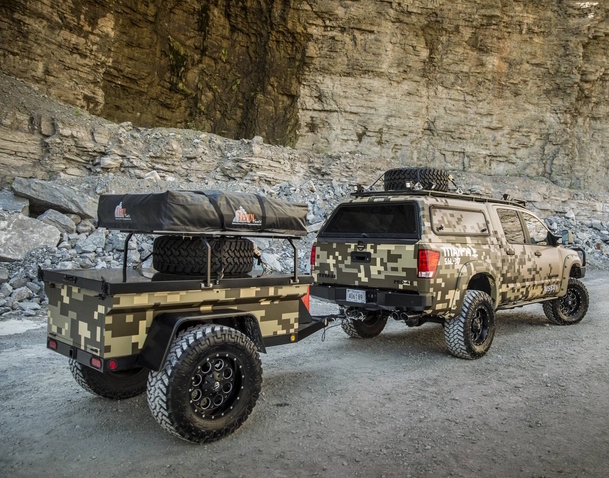 Adding utility to the experience, Project Titan tows a matching customized all-terrain camping trailer featuring a camp-style kitchen, tent, water/fuel storage and a spare tire.